Mori Seiki has always been supporting the basis of manufacturing as one of the general cutting machine tool manufacturers. The process was always the history of changes and challenges. And now, what we are aiming for. That is to be the No. 1 machine tool company for customers. We always pursue the best technology and service, and provide new value and unlimited potential of machine tools to the customers. Most of the components, dies and molds which make up many industrial products such as automobiles, trains and mobile phones that we take for granted in our daily lives are manufactured by machine tools. 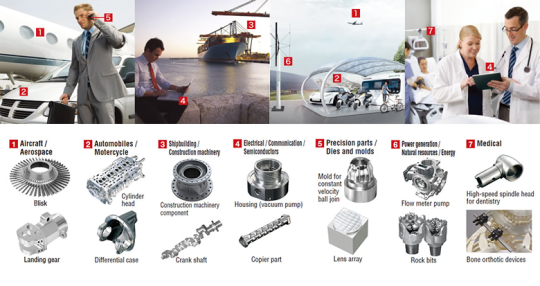 And the industrial machines themselves, which assemble parts into various products, are also produced by machine tools. It is no exaggeration to say that machine tools make our lives convenient. The lathe, which is based on the principle of the potter’s wheel, rotates a workpiece (material) attached to the spindle and performs cutting by placing a cutting tool against the workpiece. This is a representative model of machine tools and is the starting point for Mori Seiki’s machine tools. Mori Seiki started manufacture and sale of high-speed precision lathes in 1958 and started manufacture and sale of numerically controlled machine tools (CNC lathes) in 1968. Since then, we have delivered over 100 different models of lathes. Machining centers use rotary tools that are attached to the spindle, and perform machining for a great variety of workpieces from round and rectangular items to complex shapes that are mounted on the table driven at high speeds. These are equipped with the Automatic Tool Changer (ATC) and can handle a wide range of machining from chamfering, drilling, boring and tapping. They are divided into vertical and horizontal types according to differences in the orientation of the spindle and the drive axes. This machine features the integration of the turning function for lathes and milling for machining centers. It is equipped with the combination of our original technology, including thorough measures against thermal displacement and equipping of the 3D interference check function as standard. We have a wide range of application systems that increase customers’ productivity and efficiency: the MAPPS Ⅳ high-performance operating system that combines the best hardware in the industry and advanced application/network systems to achieve maximum ease of use; as well as the MORI-AP Series of the automatic conversational programming systems.